Note: To celebrate the 20th anniversary of the Hubble Space Telescope, for ten days, Universe Today will feature highlights from two year slices of the life of the Hubble, focusing on its achievements as an astronomical observatory. Today’s article looks at the period April 1998 to April 2000. 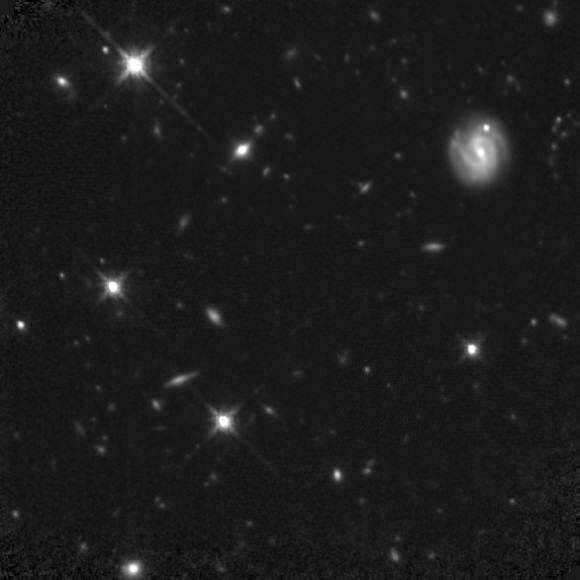 In October 1998, Hubble complemented the original Hubble Deep Field with Hubble Deep Field South (HDF-S). Three instruments – NICMOS, STIS, and WFPC2 – stared at a tiny spot in the sky for ten days (more images here). I reckon the image which most of us remember best from these two years is this one of M57, yet another planetary nebula. “Final Results from the Hubble Space Telescope Key Project to Measure the Hubble Constant” is one of the most heavily cited papers in astronomy, perhaps even science, period. It also happens to be one of easiest to read, and is likely to serve as a model for a long time. It is based on a great deal of ‘Hubble time’ (dedicated observations), but should anyone want use all the data from all that time, they are free to do so. Wendy Freedman is the lead author on that paper, and led this Hubble Key Project (HKP) from start to finish. At its heart, this HKP is a repeat of Edwin Hubble’s work, some seven decades earlier – observing lots of Cepheid variables in some 19 nearby galaxies, with the Hubble, and using the period-luminosity relationship to estimate the distances to them (Of course, there’s a very great deal more to it than that!). No prizes for guessing who the Hubble is named after, and why. The end of the Key Projects freed up more time for the Hubble to observe other things; some of which may surprise you. 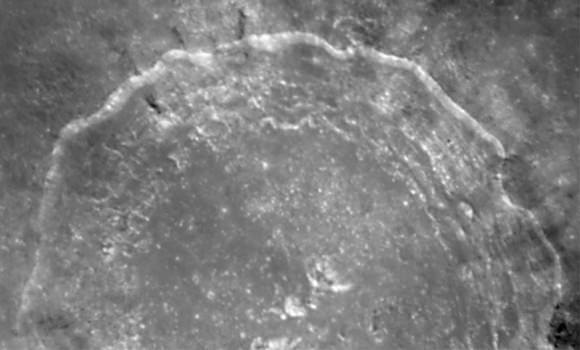 For example, many people think the Hubble cannot look at the Moon, much less take pictures of it. To make some of Hubble’s best eye-candy more accessible, the Hubble Heritage Project was set up, in 1998. 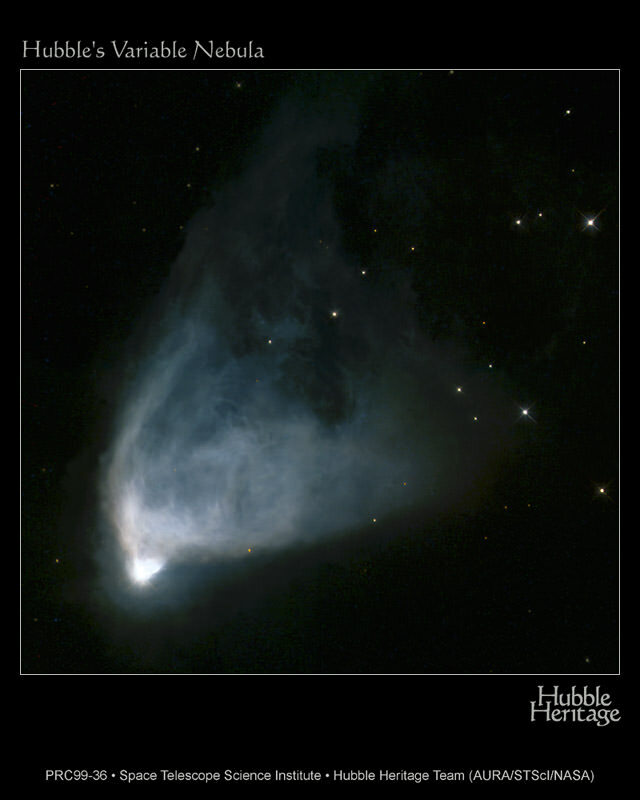 And what more appropriate eye candy is there, in a story about the Hubble, than Hubble’s variable nebula? 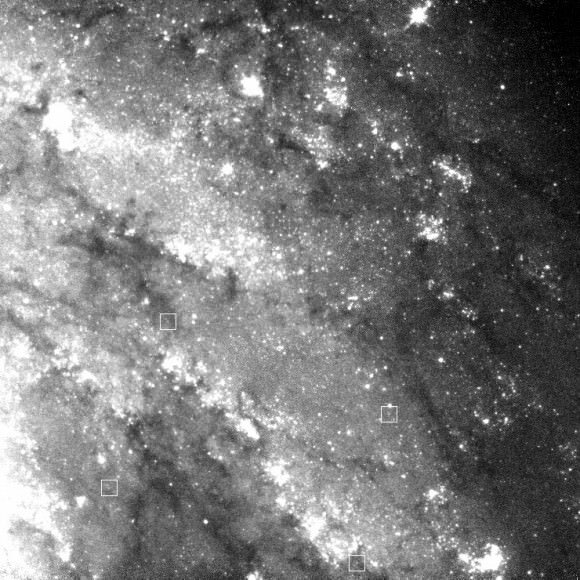 And one of the things the Hubble Heritage team did was run a competition for the best image; the polar ring galaxy NGC 4650A won (was that your choice? ); if you think this looks odd, it is … I rotated it 90 degrees (there’s no up or down in space). To close, two much less often seen HDF-S results, from NICMOS (above) and STIS (below).